This is a comment I hear from hearing parents when they are thrust into the world of deafness with their deaf child, born to them or adopted. In general, an ASL Interpreter facilitates communication between those in the hearing world and those in the Deaf World, especially in settings of “consultation”. Consultative settings include, medical appointments and procedures of all kinds, school and educational meetings, legal meetings and the like, the most personal, of course. If your hearing family adopts a deaf child, even if dad and mom become fluent in ASL, an ASL Interpreter will most likely become a required by law (Americans with Disabilities Act). facilitator of communication for your deaf child and the hearing person(s) they are involved in communication with, in many situations. Do not misunderstand me, just because this is required by law does not mean the hearing person(s) meeting with your family and your deaf son or daughter will eagerly provide a qualified interpreter for them. Some will gladly provide this service while others will do everything possible to get out of providing this service. It is possible you will be the one on the receiving end of an ASL Interpreter, someday, if your deaf son or daughter has the great opportunity to meet with Deaf individuals in the many settings listed above. You will be thankful to have clear and accurate access to his or her conversations with your deaf child(ren). You also need to know that not all ASL interpreters, even if they are RID Certified, state licensed, and/or “the best in the world”, are created equal. 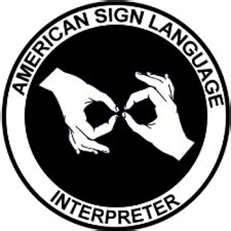 In my opinion, until you see how an ASL interpreter performs you will not truly know their receptive skills (ability to understand ASL clearly and accurately speak it to others) and expressive skills (ability to sign clearly and accurately what is being spoken to the Deaf consumers preferences). Just because they have a specific credential does not always mean they are highly skilled in the facilitation of spoken English into ASL and/or ASL to spoken English. Sadly, you will also meet credentialed ASL interpreters, with much experience, who are unprofessional in their actions. These experiences will help you to better identify with those in the Deaf World as they must endure this each and every time they have an appointment or meeting of any kind with someone in the hearing world. This is probably at least 90 – 95% of the time. Not all ASL Interpreters are this “easy on the eyes”! Family members of a deaf child will often become their interpreter for more casual settings. These settings could be for extended family members who do not know and do not learn ASL (this will be covered more in another blog post in this series), for hearing neighbors, for the hearing people at church, on the playground, for shopping and going out to eat, for birthday parties, for sports, etc. Pretty much every time communication is taking place, the need for interpreting for the deaf child will present itself. This must also be considered for some family vacations where entertainment of various kinds might be involved, as well as, any field trips your family takes where any kind of informative presentations are given. If the family members decide to be their child’s ASL interpreter for these kinds of settings, mom and dad will find it beneficial to do some preparation in advance for any technical presentations that might require some additional learning of ASL vocabulary before the event takes place. 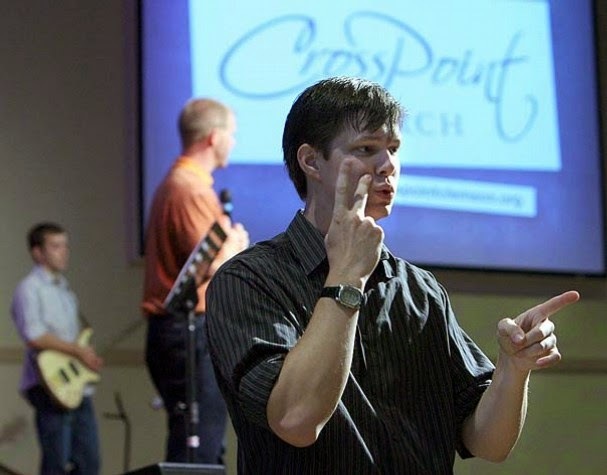 If your family is involved in a church that does not already have a Deaf Ministry, it may prove to be very difficult to find a skilled interpreter for this setting. Finding, scheduling and often paying for an interpreter in the religious setting can be overwhelming for the parents of an adopted deaf child. You may want to seek out a church in your area that has a Deaf Ministry or at least an interpreted service, if you can find one. Interpreters for additional activities, beyond the worship service, will many times be limited for your deaf child. It is not uncommon for deaf children to be embarrassed by being the only deaf person in a church service and especially if a family member becomes their interpreter. There are creative ways to avoid this additional attention being drawn to them, but this can often be an additional challenge for the family, parents and siblings, when adopting a deaf child. This is a very important aspect in the life of a family and can be one of the most frustrating and heart breaking, especially if the family decides they feel they must change churches to meet the needs of their deaf son or daughter. If you discover you live in a area with few Deaf people more than likely the pool of skillful ASL interpreters to pull from will probably be small. It may be no ASL interpreter in your area matches the communication needs for your deaf son or daughter, hence the need to do your research prior to proceeding with a deaf adoption. ASL interpreters in the educational setting will be covered in a separate post in this series. Sometimes, moms and dads wait until their adopted deaf child is older and their child’s own ASL skills have improved before they begin requesting an ASL interpreter for an appointment or meeting. This will be something you will decide for your family, as long as those initiating the meeting will allow you the freedom to do so. Signing with your deaf child and being their interpreter are two vastly different things. I have met many ASL students and others whose ASL can almost be considered native-like, however, when they interpret that fluency does not remain the same. 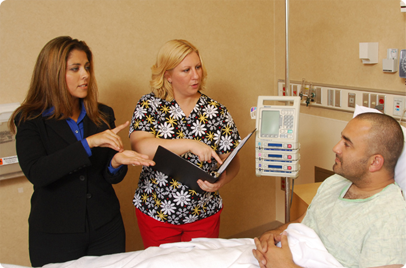 Interpreting is a much more challenging task than signing casually with others and requires much practice, intense brain concentration and continued life-long training. In addition, mom and dad will have to make the decision of when to interpret and when not to interpret. Some find it challenging to know when to be the parent and when to be the interpreter. This is a large encompassing topic and I will not take the time to cover it exhaustively, but if you move forward with the plan to adopt a deaf child you will want to know as much as possible about the ASL Interpreter and understand how much they will become a part of your family’s everyday life. One deaf adoptive mother admitted it has become a “love-hate” relationship for her. She knows this is her deaf child’s right and is what is best for them, but she often feels the interpreter is an intruder in her family’s private and personal lives. The above link is from a law firms website. The above is from the Deaf Interpreter Services in Texas website.